Review: It's been a long time between drinks for Isiguide, the label set up in 2016 to showcase the remix work of Greek producer Zak Famellos AKA Zaq. Predictably, he's at the controls again on the belated second label release. 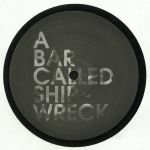 "A Bar Called Shipwreck" appears to be remix/re-make of a dewy-eyed old Greek record. The A-side version is wonderfully starry and Balearic, with vintage Grecian vocals, jaunty synthesizer melodies and jangling acoustic guitars riding above an analogue acid bassline and sparse, dubbed-out machine drums. Flip for the "Holy Communion Mix", a kind of acid-fired electronic reggae interpretation that's as Balearic as Alfredo, stunning sunsets and having to pay 15 quid for a beer.